The ugly and rather public dispute between FSC-Canada and one of its largest and most influential stakeholders continues to generate real concerns for SFM stakeholders around the world. MixedWood wrote about this “drama” in December, and provided another followup early in the new year. At that time, we expressed hope that the parties would come to appreciate their shared interests, that cooler heads would prevail, and that the very real and challenging issues of concern would be resolved over time. Recent signs, however, are not encouraging. Many in the business (including MixedWood) were encouraged at FSC’s offer to facilitate a “mediation” process with Resolute Forest Products and some of its critics. Resolute publicly expressed some reasonable concerns about the role of the provincial government – particularly Quebec. Unstated, but clearly important, was the role Greenpeace. We expressed hope that this story would drift into background as the players found ways to communicate directly and stopped debating in the press. So far, we are disappointed. Unfortunately, this was only half of the story. The second press statement sets a very different tone. This statement is positively bizarre. Viewed on its own, it would be strange. Viewed alongside the other statement (published the same day! ), the effect is downright shocking. Cartensen is saying, on the one hand, that stakeholders with disparate perspectives must “come together…to rebuild trust”. But not this stakeholder. This member of our community is clearly evil and must be expelled. Really? It appears that at least one direct meeting occurred between Cartensen and Richard Garneau (CEO of Resolute). Clearly they disagreed. Is that the whole story? Did they seek a neutral, trusted facilitator? Were the provinces of Quebec or Ontario (who actually own the Resolute-managed land) consulted? How could they have simply given up? It is widely assumed that the root of this dispute lies in Resolute’s pending lawsuit against Greenpeace Canada. Is this true? Why is this not plainly stated? Is Greenpeace acting honorably in this affair? Is FSC prepared to hold them accountable for their part in these troubles? 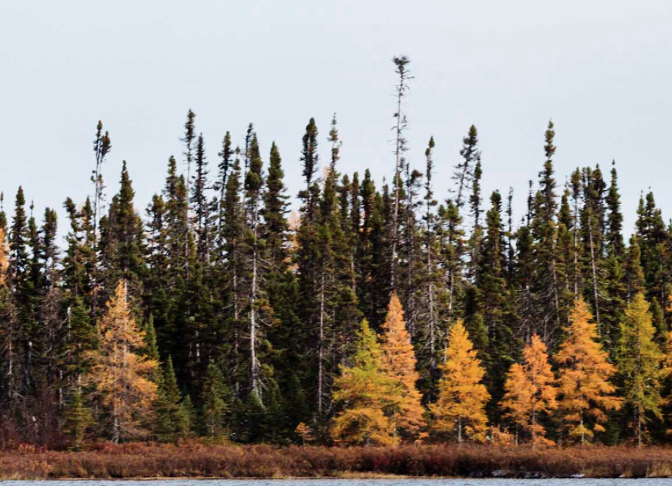 Can the Quebec and Canadian forest product sector afford FSC? Can they afford to lose it? Is it fair to rely on rural Canada to bear the cost of the world’s Intact Forest conservation agenda? Is FSC adopting the Greenpeace campaign against corporate forest industry? FSC is a platform for democratic engagement with a long and successful history of bringing disparate interests together to solve challenging problems. This is what we do. We agree. Let us not forget that ‘democratic engagement’ is hard work, and that “disparate interests” often resist being brought together. We have all worked too long and too hard to give up now. After all, “this is what we do”, right?